Welcome to the Gears of War 4 Gilded RAAM Challenge, an epic test of your Gears 4 loyalty that leads to brand new rewards both in Gears 4 and – for the first time ever – to take with you into Gears 5! The Gilded RAAM Challenge features three unique objectives to complete in Gears 4. Conquer all three, and you’ll net yourself the gold-trimmed Gilded RAAM character variant and the new Black Phantom Weapon Skin Set. These aren’t your typical Gears 4 rewards though. For those who finish the Gilded RAAM Challenge, not only will you instantly unlock both rewards in Gears 4 but both Gilded RAAM and the Black Phantom Weapon Skin Set will be waiting for you in Gears 5! This is also the only way to own RAAM at launch in Gears 5, so, don’t miss out on your chance to have the General himself in your collection come launch day. Earn 1 Million Challenge Points. Each Challenge is trackable in your Gears 4 Achievement List so you can monitor your progress as you play. We’ve also added a new Re-Up count tracker in the War Journal under your XP bar to help make your current Re-Up Level clearer. Unlike previous Challenges, once you complete all three Challenges, your rewards will appear instantly in your Gears 4 inventory without the need to use My Rewards or open Gear Packs. The time has come to say goodbye to new Customization Content and Gear Packs in Gears 4 as the team shifts their full focus into making Gears 5 the best game possible. The end of this road marks the most content released for any Gears game in the series history, with 269 characters and 2,384 Weapon Skins added over the past two and a half years. We’ve introduced new favorites (Sweater Imago! ), fulfilled 10 year old fan requests (Palace Guard!) and learnt a lot on the way (maybe no more Color Blast..). We hope you’ve enjoyed the ride. That said, we know some of your favorites (and ours) didn’t make the cut before the end. We want you to know that, even though they didn’t get the chance to appear in Gears 4, we hear your feedback loud and clear on which characters you’d like to see return in the future. The Gilded RAAM Challenge also marks the first of several earnable characters and weapon skins that will be available in Gears 4 and follow you into Gears 5. 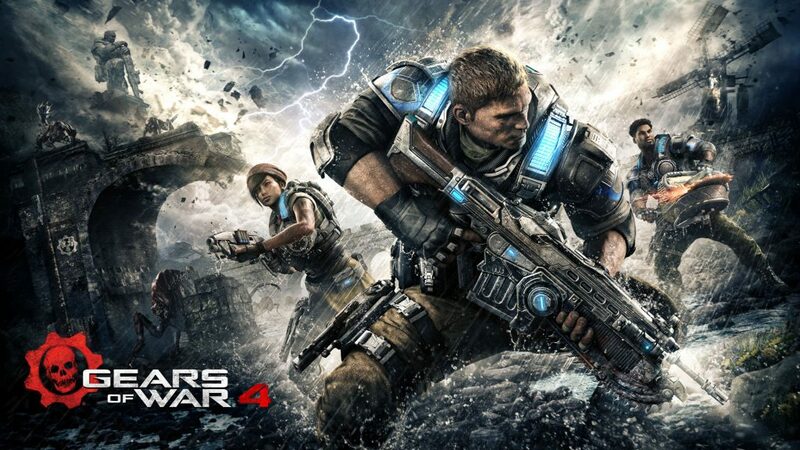 Everything you own in your Gears of War 4 collection today will be available for use in Gears of War 4 forever, but will not transfer to Gears 5. In Gears 5, our focus is to deliver as much new and original content as possible from the word go. We’ve got a lot of exciting things planned and can’t wait for you to see it. In the near future, almost every Character and Weapon Skin set from Gear Packs has been added to Series 3! That means every Character variant and weapon skin set will be discoverable in standard Gear Packs and craftable with Scrap once the Update goes live. Credits will still continue to be useful for picking up Core Gear Packs, which now have a chance to contain almost any content in the game. You can also destroy any duplicate Cards you get for Scrap, which you can then use to directly Craft the content you want (the web Card Companion has an amazing Scrap All Duplicates feature). As we close another chapter in the story of Gears 4, we want to take the opportunity to say thank you to all of you, our players, for your continued support. For a long time now, Gears of War 4 has seen more players online every day compared to the same point in the post-launch life of the incredible Gears of War 3. This is beyond humbling to us as the new custodians of the franchise and a testament to the passion of an incredible community we get to call our own. From all of us, thank you. For now, we still have plenty of Special Events and more for Gears of War 4 on the road to Gears 5’s release later this year. We’ll see you out there on that chase for Gilded RAAM!